Oh, why don't you just go jump in a lake?! 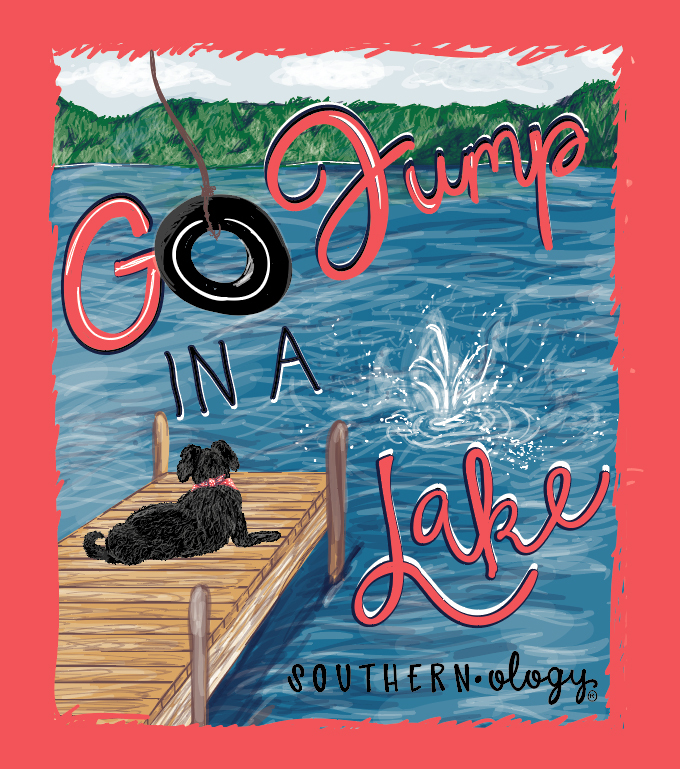 Often used as a snub, we prefer the idea of a day at the lake with a tire swing and man's best friend. 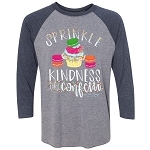 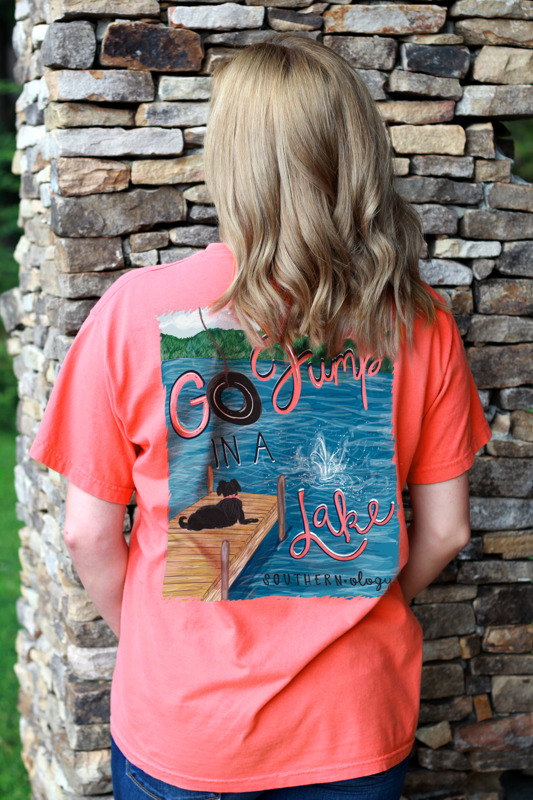 Featuring our Labradoodle office dog, Zoe, this exclusive hand-drawn design is brand new for summer! 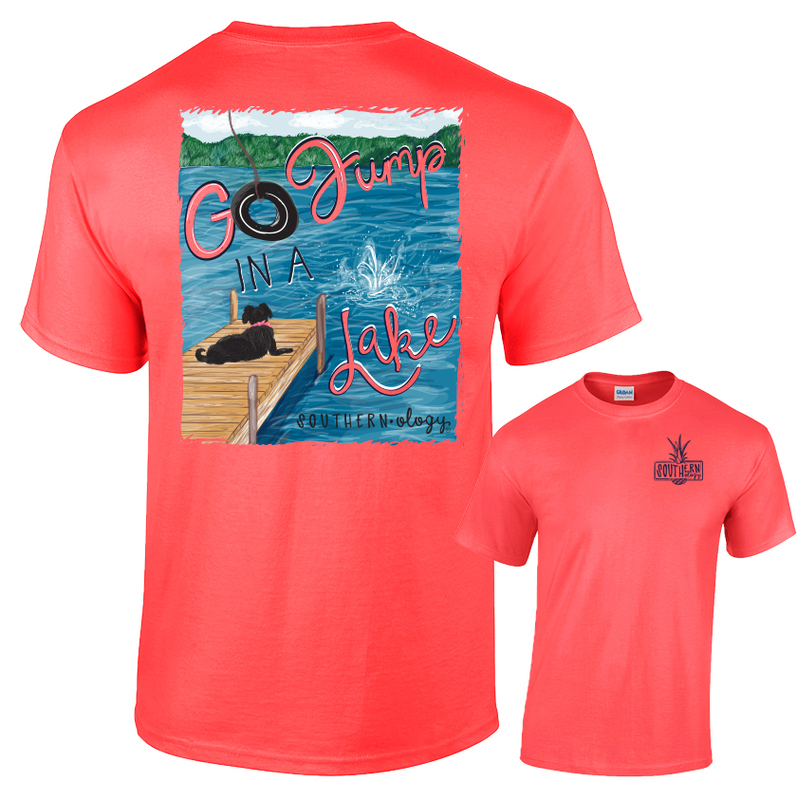 Printed on a Coral Silk Gildan 100% cotton t-shirt, Go Jump in a Lake is the perfect addition to your day-at-the-lake wardrobe!